WikiLeaks, the democratization of investigative journalism? A good communications plan should always account for the contingency that information will leak. Sometimes it’s information the organization simply doesn’t want out. Sometimes it’s information that leaks before it’s meant to be public. In any event, the impact of leaks – and the response if they happen – should be thought about in advance. That’s part of the job of corporate communications. WikiLeaks is just one channel for a leak to occur, but many others are possible. The organization can’t anticipate all of them, but it can anticipate that, at least once in a while, a leak will occur. When it does, sometimes all hell breaks loose, but again, coping with that is part of the communicator’s job. Does the organization have a coherent philosophy about information disclosure? Does it disclose only that which is material and therefore legally mandated (for publicly held companies), or does it believe in being more transparent? Does the organization have strong policies and systems in place to protect information that really must be protected for legal and proprietary reasons? Are the systems tested for effectiveness and improvement? Are fears about leaks really fears about having major flaws in the organization revealed? If that’s the case, isn’t time better spent addressing the flaws than trying to stop the leaks? If information is power (and it is), how much power is the organization willing to share with stakeholders, and under what circumstances? Is the organization open to outside scrutiny, and if so, who is it willing to invite into dialogue so the scrutiny can take place? If WikiLeaks can get discussion going around these kinds of questions, then it ultimately can serve a useful purpose for an organization. I think you’ll see more leaks, not fewer, in the future. One result of the Information Age is that many more people at levels throughout an organization have access to information. More access means more potential leak points, and more leak points probably means more leaks. Much of what you see coming out in WikiLeaks would, in previous eras, have served as grist for the mills of investigative journalists. 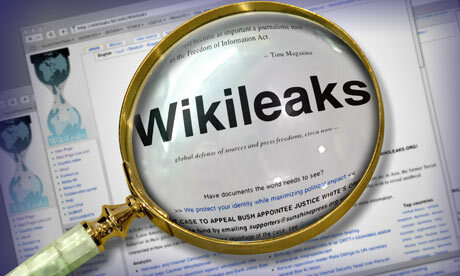 As media outlets’ budgets shrink, WikiLeaks represents the democratization of investigative journalism. In another time, the careful eye of a trained journalist might discount some leaks for lack of merit or lack of completeness, but those days are quickly coming to an end. Today’s leaks are served up whether they’re fully vetted or half baked. We can only hope that there are enough people of discernment to understand which deserve merit and which should be ignored. This entry was posted in Communications, Leadership, Politics, Society and tagged corporate communications, investigative journalism, wikileaks. Bookmark the permalink. One Response to WikiLeaks, the democratization of investigative journalism?